Q: "Dreambetween"? What's that about? A: It's all pretty much in the name. There's a dream, obviously. But instead of it being the dream of an individual, it's shared by a group of people. So a "dream" shared "between" this community, a "Dreambetween." Q: Could you be a little more specific? A: Sure. The Dreambetween has been in existence since prehistory, when a small group of women who all had shared ancestry found a way to not only begin lucid dreaming, but to share their dreams as well. They used the communal dream to strengthen tribal bonds, communicate with others related to them as their communities became more widespread, and as a spiritual touchstone. As time progressed, their descendants were able to access the dream as well, though some proved more naturally adept at doing so and at manipulating the dream itself. Q: So this is a historical series? A: Yes and no. The primary storyline will take place in the near-present (early 21st century). 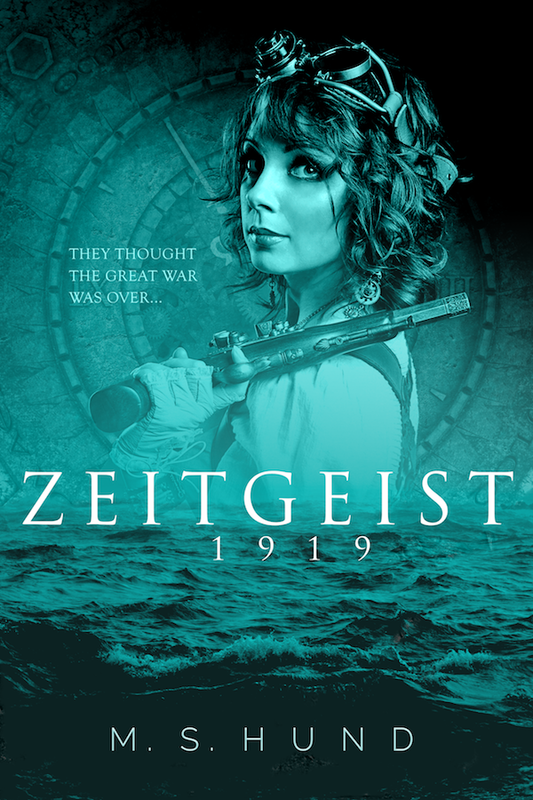 But there will be other story arcs woven around this primary tale, including (but not limited to): Regency Era Britain (early 1800's), prehistoric Britain, occupied Poland during World War II, and 1980's Philadelphia. Q: Fair enough. So what's the "Symphony" part entail? A: Music is a major theme, particularly in the first book, and the series itself is structured as a classical four-movement symphony. The primary tale, which revolves around a young woman named Lily Markart, plays out over the course of three novels, tentatively titled Song of the Severed Lord, Exile Ballad, and Requiem. There will be a number of supporting short stories and novellas released alongside this trilogy that will either expand upon the lives and backstories of characters in the main story or explore more of the history of the Dreambetween and the bloodlines that share it. These stories will be collected in the fourth "movement" of the symphony, tentatively titled Preludes & Eulogies. Q: Seems like a lot of stories to get out there. Are we talking George R.R. Martin timeframes here? A: Not at all. If everything goes according to plan, I'll have the whole thing finished before the end of 2015. Q: Ambitious. What's the release strategy? A: I'll start with the trilogy of main stories. Song of the Severed Lord will be released in trade paperback and as a Kindle ebook in September of 2014, followed by an expansion to non-Amazon markets in December 2014. I'll use the three month Kindle-exclusive period to run a number of sales and other deals using Amazon's KDP program, including deep discounts on Song of the Severed Lord in the run-up to the second release. Exile Ballad (tentative title) will be released round about the turn of the year using the same paperback/Kindle release model. Throughout the winter and into the spring of 2015, I'll begin releasing the supporting stories in a mix of Kindle-exclusive and general-market releases. Some of these stories will be for sale and others will be available for free from e-book sellers or directly from my website or mailing list. This should all lead up to the summer 2015 release of the trilogy-concluding Requiem (tentative title), which may or may not be Kindle-exclusive from the start. Throughout the summer and into the fall I'll focus on finishing the rest of the supporting novellas and shorts that will be released as a compilation paperback and e-book under the working title Preludes & Eulogies in the early fall of 2015. And then will come the final step in project: releasing the entire collected symphony as one master-work. The Dreambetween Symphony, containing all of the stories released up to that point, will be issued as an omnibus in both e-book and hardback print format by the end of 2015. Q: Sounds like you better get cracking. Q: Well don't jinx yourself! A: Sorry, sorry. Yeah, I'd better fire up Scrivener and continue churning out the words for Exile Ballad now. Q: Thanks for taking the time to explain The Dreambetween Symphony. A: No problem. Thanks for the opportunity. Song of the Severed Lord will be released as a Kindle e-book and in trade paperback in September, 2014. Sign up for my mailing list so you don't miss out on the release announcement as the e-book will be available for a limited time at a special launch price.